House GOP budget: Republicans want to slash federal food stamps without getting their hands dirty. A woman and her daughter count out food stamps while shoping for groceries. If House Republicans get their way, they’ll likely have fewer to count in the future. House Republicans on Tuesday unveiled their budget blueprint for next year, saying the plan would balance the budget within a decade by slashing federal spending. GOP leaders will need to rely exclusively on their increasingly unruly caucus to pass the plan, which calls for $5.5 trillion in budget cuts in the next 10 years. So the immediate focus inside the Beltway has understandably been on how the budget seeks to bridge the ideological gap between the party’s deficit-focused Tea Partiers and their defense-minded colleagues. But the blueprint also provides a helpful reminder of what has long been one of the GOP’s chief goals at home: taking a knife to the federal food stamp program that nearly 50 million Americans rely on to put food on the table each month. The GOP document, authored by House Budget Chairman Tom Price, proposes doing just that. It contains more than $1 trillion of unspecified cuts to a broad category of programs that includes a number of welfare efforts, and would end the federal food stamp program as we know it. (A similar proposal in last year’s budget that went into greater detail would have trimmed roughly $125 billion from the food stamp program over 10 years, or roughly 15 percent at current spending levels. *) The proposal would do the most damage to what is known as the Supplemental Nutrition Assistance Program, or SNAP, by converting it from a federal entitlement program to a traditional block grant program, whereby the feds would hand over a lump sum of cash each year to the states to spend however they want within a relatively loose framework. That’s a proposal Republicans have offered before, and one that Democrats shun for good reason. Under the current setup, any American who qualifies for food stamps receives them, regardless of how much money Washington has already spent on the program that year. But, as I explained this past summer, switching to a block grant would effectively set a cap on SNAP spending by stopping the program from automatically increasing along with need. That would leave the program unprepared and underfunded when the next economic downturn came along. Past GOP plans partially addressed those concerns by indexing the amount of federal funds provided to the states to both inflation and eligibility. Indexing for inflation doesn’t solve the problem—de facto cuts at the hands of inflation have done serious damage to welfare programs in the past—but it would dull the pain. The plan to index for eligibility—that is, requiring federal funding to rise or fall in tandem with enrollment in the state programs—is only a superficial solution at best, because the transition to block grants would come with a focus on limiting the ways that Americans could qualify for the program, as well as cutting SNAP’s “outreach funding,” the cash used to make sure that those people who are indeed eligible know how to sign up and receive the assistance they need. Altogether, the GOP plan would knock an untold number of Americans off food stamps. The GOP blueprint, if passed, would set overall spending levels for the coming fiscal year, but would still require follow-up legislation to implement its proposed changes. The fate of Price’s budget resolution remains uncertain, but it nonetheless serves as the best window into the House GOP’s current to-do list. In the short term, the biggest political payoff for converting the program from a federally run entitlement to a wholly state-run one is that it allows Republicans to claim credit for the savings on the budgetary ledger without taking responsibility for what those savings represent in the real world: more low-income Americans going hungry. The budget is able to pull off that political magic trick because it doesn’t specifically kick people out of the program. Instead it leaves it up to the states to figure out how to do more with less—or, more realistically, less with less. Without knowing how states would use the cash, it’s impossible to say for certain how many Americans would either lose their food stamps completely or receive less of them. 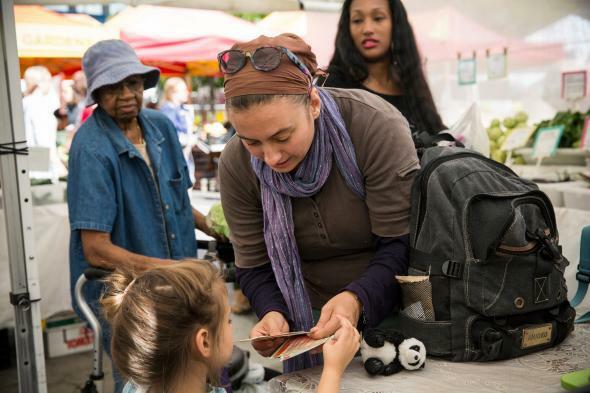 But there’s no question that less federal funding for food stamps will mean fewer food stamps, as a recent report from the Congressional Budget Office made clear. The CBO found that the financial pain inflicted by the three most likely options lawmakers could use to cut SNAP would be felt the most by households with incomes either in the lowest or second-lowest decile in the nation. In other words, the Americans who need the government assistance the most. Under the House budget plan, the states are left to worry about the poor. Some states might, some might not. Republicans, meanwhile, are free to celebrate the savings. *Correction, March 18, 2015: This post originally misstated that the GOP budget proposes $125 billion in cuts to SNAP over 10 years. The FY2016 budget does not give a specific figure for the proposed cuts to the program.